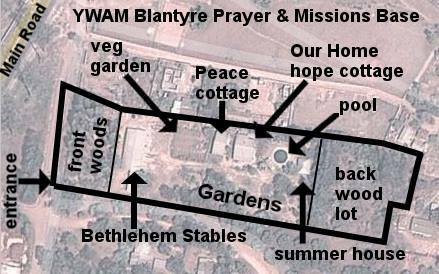 ← New home for YWAM Blantyre? God has given us a new home! God has done it ! God has done it! He told us it was time to move and gave us the faith to believe him. He said that we were to enter the” promised land” for YWAM Blantyre community in Malawi and we didn’t know how it was possible. Putting your faith in God is the adventure of a lifetime! 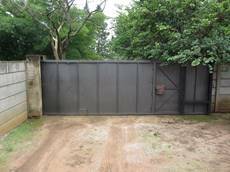 In the last 2 months since we last communicated with you, God confirmed buying the property in Chigamula a district of Blantyre city. We painted the old properties and moved 40+ people out sending 21 on outreach to 3 nations. 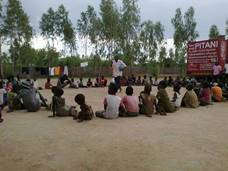 God provided the $105,000usd that we needed to pay for the property with donations and an interest free loan. We have registered the trust that we were going to buy the property under. We have received government clearance to buy the property, paid the cash, moved in and now we are starting to build. We are really quite staggered by the speed that the whole thing has come together. But then we have faith in a God who can make a nation in a day and who when He forms a billion stars doesn’t even break a sweat. We still have quite an uphill journey over the coming months or years as we must repay the interest free loans that we got to cover the shortfall and the building will be in full swing for the next months, so that all the staff can move back in as they come back from outreach and the base be ready for the next DTS in September. The payments for the property have worked this way, we had about ¼ of the cost of the property as a gift from a friend. We then got 2 short term interest free loans to cover the rest. The first loan of $32,000usd must be repaid by the end of 2014. The second loan for $56,000usd we have 3 years from now to repay; so by the end of 2016 we will be debt free by the grace of God. Praise Him we have already seen God provide about $8000usd, some of which has been for the repayment of the first loan and some to convert the big building into accommodation. The big blessing for us is that we are no longer wasting money on rent, the last few months we ended up paying about $1350usd per month for the rent of the two properties. All of this can now go straight into buying and developing the property here. Over 3 years $1000usd a month ends up being $36000 which is a massive chunk of the money we have borrowed. Please pray with us as we contend in faith to see Gods provision released to repay the loans. Suzy and I have personally pledged to raise $30,000 over the coming 3 years, we hope God might lead some to stand with us in faith and raise this figure together. 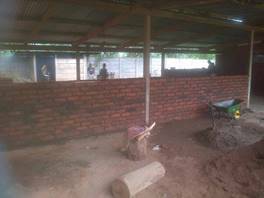 It has been humbling to see our Malawian staff declare amazing faith pledges, one couple donated the 6500 bricks that they had made to build their own home, What a sacrifice! What a Gift! What generosity! We are amazed. Personally I am loving being able to start building on our new property. We have never lived in a place that is ours and where we can develop and create with God. There is so much potential here to get creativity and vision flowing. The first phase is really just to convert as much living space so that our growing team can squeeze in. We are building or converting about 12 rooms over the next few months. The main area we are focusing on is what we call “Bethlehem stables” it is a slightly pitched roof building built as a store area, garage and works office. 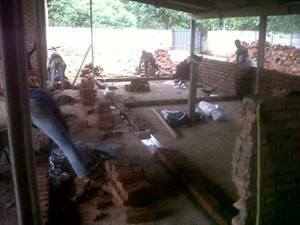 This will become our first dormitories, kitchen, toilets, office and later classrooms when we build more accommodation. have a look at my blue prints here, i will be posting new ones as the project develops. We had 10 builders start on Tuesday the 28th working on the first 7 rooms. I have posted our first blue prints on our website in PDF format, please have look and get back to me with your thoughts. We have also posted a couple of pictures of the work on the first two days and will try to put a picture up every day or so as things progress. 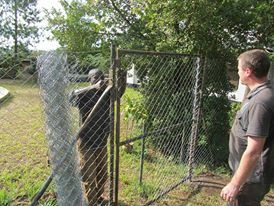 Have a look on our YWAM Blantyre facebook phase 1 building project album. Testimonies. Please pray for them that God would continue to work deeply in each member’s life and prepare them for their lives as radical disciples of Jesus. Graduation is the 1st of March please pray for those who God will call to join staff for his guiding hand and provision. body under it and snapping his right lower leg. Praise God he lived and it was only his leg broken. 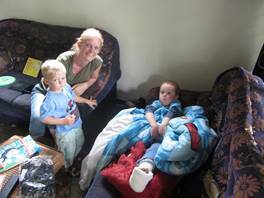 He is now 3 weeks in a cast and three more to go until he can start rebuilding the muscles in his leg. Please pray for him and also for us all as we cope with a invalid 4 year old with few ways to let out his four year old energy. Especially for Suzy who has been caring for him so much and so well. We had a miracle registering a new trust to buy the property under. We believed that in this new season for YWAM Blantyre, God was wanting a new legal foundation for our work here to release new life and freedom, hence a new trust was registered. 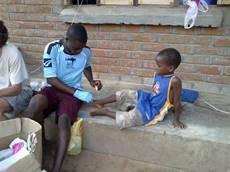 It is called “Achinyamata A Cholinga” which is Youth With A Mission in Chichewa. It is a full part of the YWAM family of ministries, an associate ministry of YWAM international which is how all the YWAM works around the world connect together. We needed the trust to register with the government before we could buy the property; it was really holding things up so we talked to the lawyer handling the transfer of the property to us. He said that the minister of justice was a personal friend and he could help. Honestly I did not believe him but a day later I was invited to the office where 10 minutes later the driver of the minister of justice arrived from Lilongwe 350 km away! In the ministers private car! With our papers of registration in hand. God can move mountains! 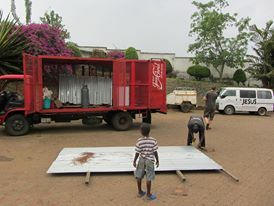 at last the final load going into the red truck as we moved out of the old base into the promised land for YWAM Blantyre. I really was not expecting this whole move to be so much work but now we are done praise God!